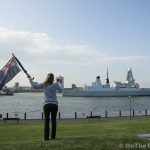 DARING-Class Destroyer HMS DEFENDER sailed up the Thames this week, arriving at her mooring at Greenwich early on Wednesday morning. 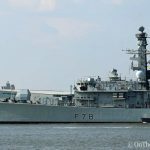 She made her way up the river under the cover of darkness, passing through the Thames Barrier - the first Type-45 vessel to do so - at about 3am. 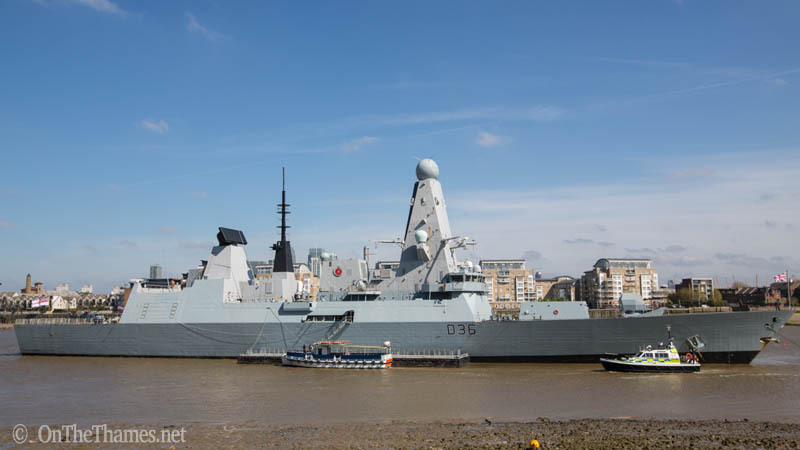 The visit by the 500ft long warship is to coincide with events to mark the centenary of the Battle of Gallipoli. 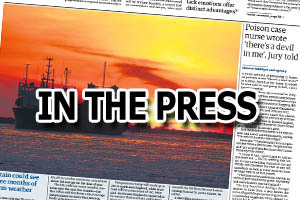 Tickets for public tours taking place on board this weekend were soon snapped up after being advertised in a local newspaper and on social media. 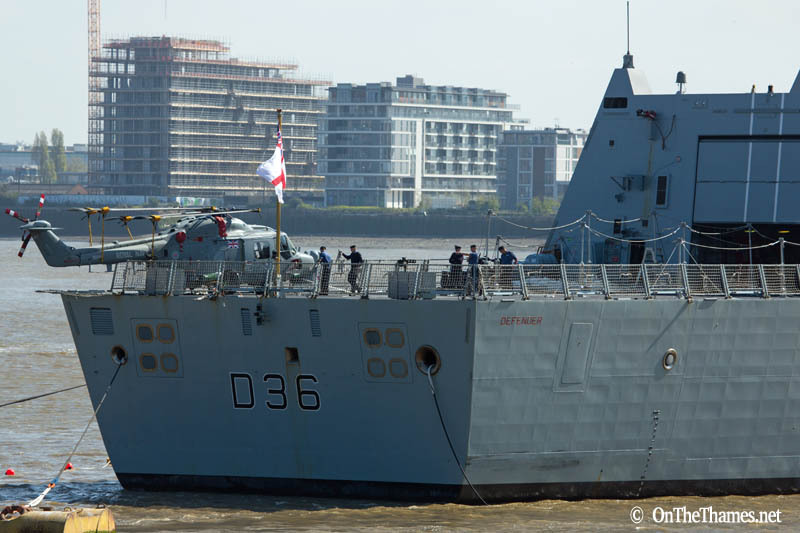 Defender will be joined in London later today (Friday) by the minehunter HMS Middleton which is due at HMS President in Wapping for the weekend. 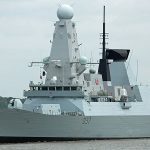 You can see HMS Defender making her way down the river on Tuesday morning - she is expected to set off around 0900. 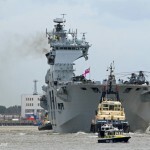 The Ministry of Defence police boat Endeavour seen patrolling around Defender. The City of London seen in the background behind Defender. The ship is affiliated with the city of Exeter. 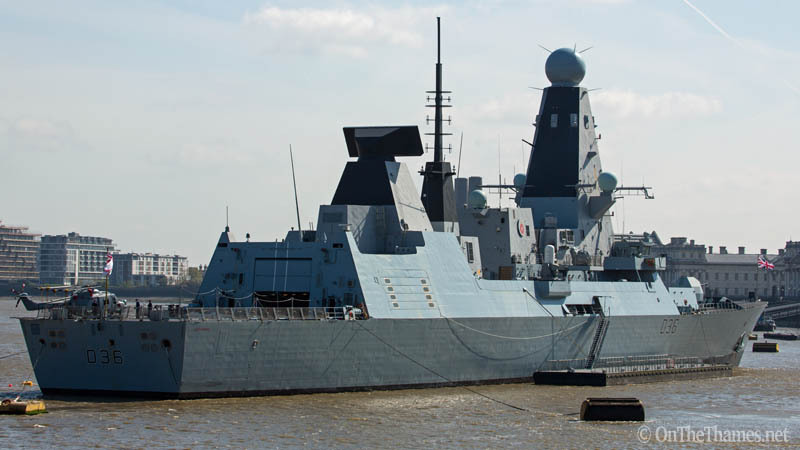 The 500ft long destroyer will leave Greenwich on Tuesday morning. 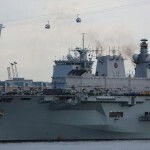 Very good images, great to see the RN in London. I have been on Dauntless and Daring, they are extremely capable and modern vessels, operations room was something out of Star-ship Enterprise! Thanks David! 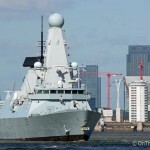 I didn’t manage to get a look around on Defender but have got some photos coming soon from on board HMS Middleton. 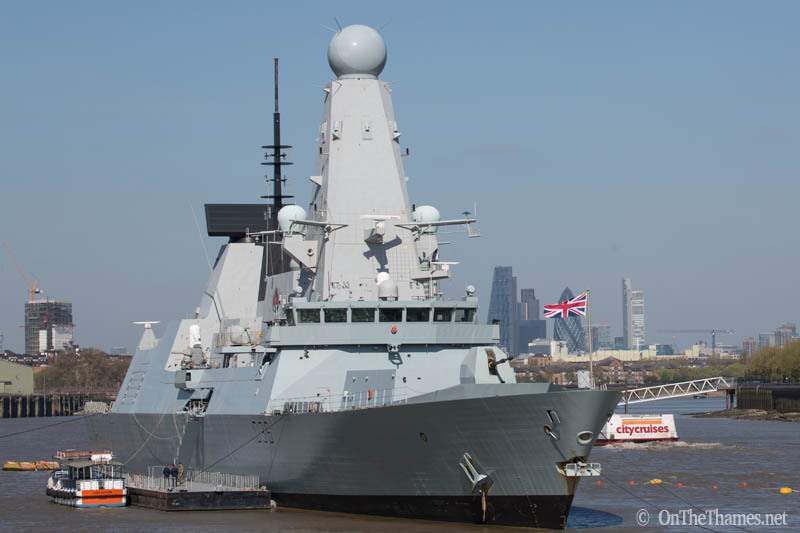 I had the privilige of attending the Gallipoli commemoration on board HMS Defender. An amazing ship with an incredible crew. I feel a lot safer after what I saw ad heard.